Multi-Vendor is a platform for building an online marketplace. On a Multi-Vendor marketplace, you’re the admin. You invite vendors, let them sell their products, and take commissions from them. In fact, with Multi-Vendor you get your own eBay. This will not only make your web store look bigger and more professional, but also deliver your customers the convenience of purchasing different products from a single location. Why Bootsmart – PHP Multi Vendor Clone Script? Our Multivendor eCommerce Script supports upto 10 million products, thousands of categories and unlimited sub-categories. If you are looking forward to open a multi-vendor, multi-currency, and multiple online product selling website then it’s the best script to start your business. Set the Wish list Products. Easily to get the Discounts for the new customer. Search for Featured product by branded and offers. Booking History of past, current and future product buying selling. 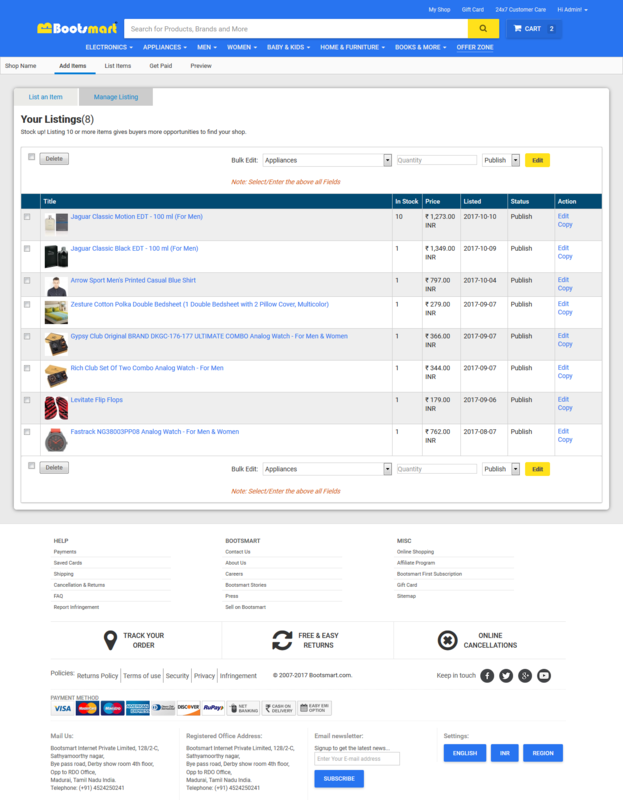 Vendors have option to manage product shipping, attributes. Manage the product tax based on location. 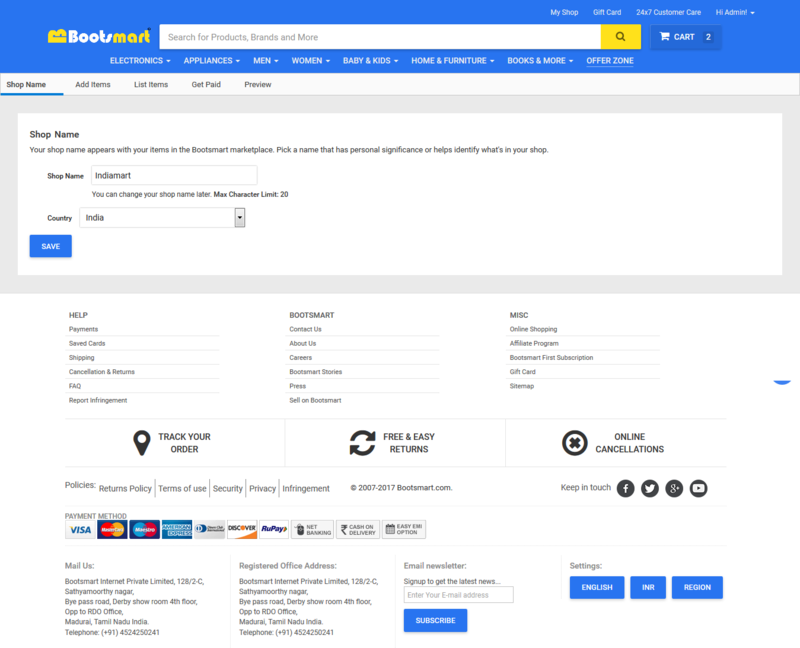 Manage the shipping cost based on shipping address. Admin manage products, orders, withdraws everything from site frontend. Manage to show the mobile and desktop view header category. Manage the multiple attributes based on category. Manage the multiple product category. Manage the home page slider with mobile and desktop devices. Manage the community, blog and post. Buying and selling not only makes you happy, but also your customers.. You can request the webmaster for coupons to be shared with special customers. User make payment through Paypal, Stripe, Brintree, EOD, Authorize.Net, PayU Money(Indian payment) payment gateway. Call, chat, or email us any day of the week and we’ll help get you set up. SEO Crawler is compatible with Yoast SEO. You can add the Keyword, Title, Description in admin page. SEO Crawler is a highly customizable search engine friendly with a fully mobile response to accommodate smartphone and tablet users. So helping you to do all you can to ensure your website is well ranked in the results page. 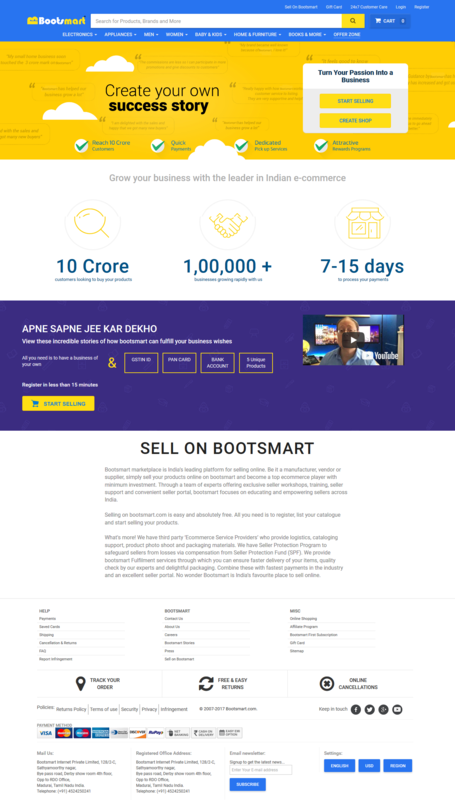 Flipkart clone script provide the multi currency system. You can use 31 currencies based on your country. You can easy to manage the Currencies on your admin page. Dispute management system applies for any order that buyer make and admin can control each disputes and manage them. Bootsmart allows sellers to maintain the shipment process and it’s prices to different locations easily for every product they add. Customer can provide after purchase rating for the products.According to the product rating vendor rating has been generated. 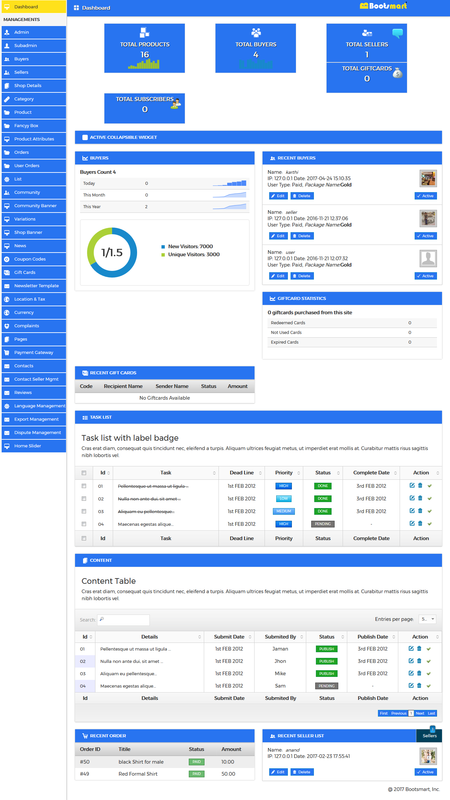 Vendor’s public profile design has been completely re-designed with complete portable options.